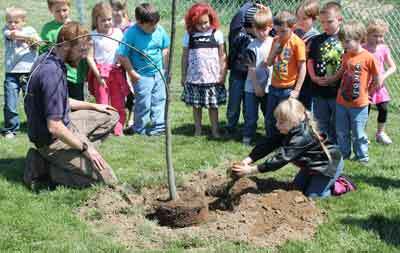 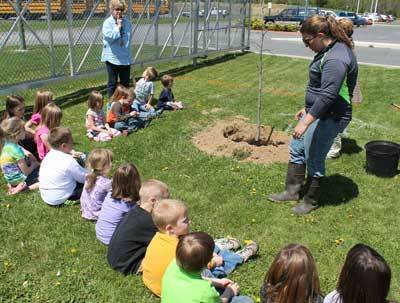 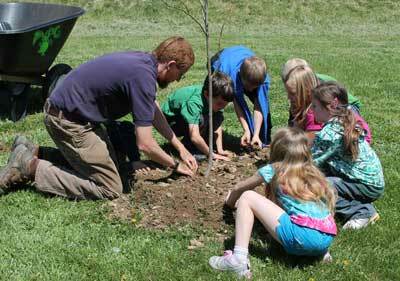 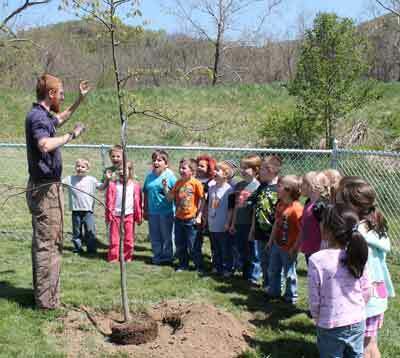 Petersburg Elementary School was awarded 12 shade trees through WV Project CommuniTree to plant on their campus in Grant County, WV. 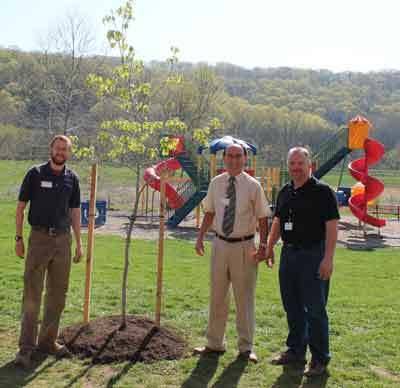 They were assisted by Tanner Haid, Urban Forestry Coordinator for Cacapon Institute. 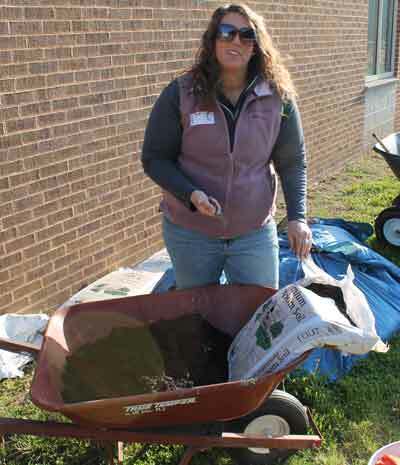 We had 250 students, 12 teachers, 2 parents, and the project leader volunteer on the day of planting for a total of 265 volunteers. 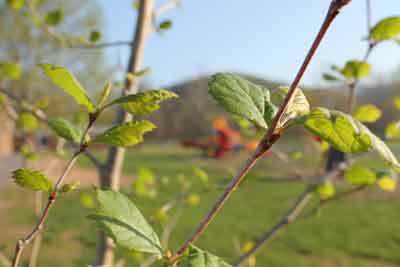 The day started with frost and it was very cold but it warmed up and we had sunny skies. 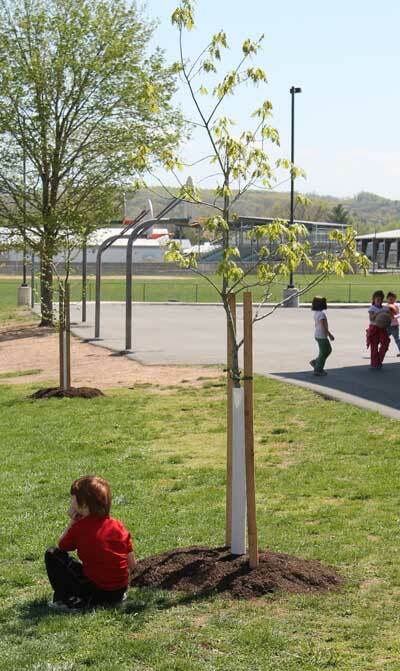 There were 9 trees planted in the playground area. 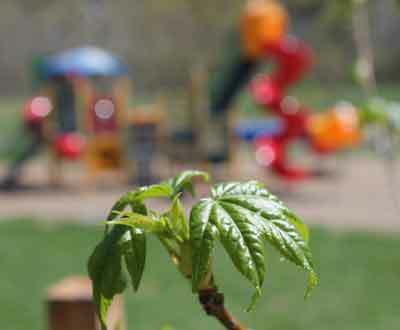 One was planted just outside the pre-school playground area. 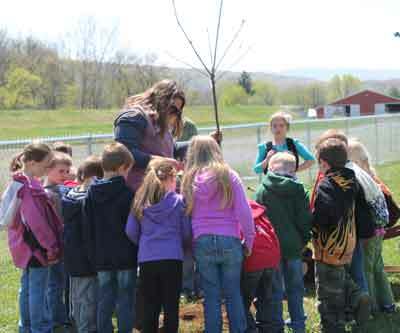 Two other trees were planted around an old, one-room, log schoolhouse on the school's property. 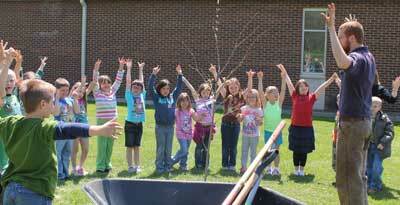 The planting process took 6 hours, all of which was within the school day. 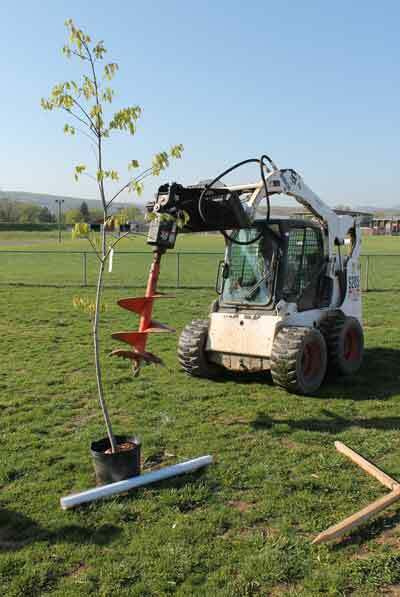 Our local hardware store Central Tie and Lumber donated a bobcat vehicle with an augur and Grant County Mulch donated mulch, mushroom soil, and leaf humus. 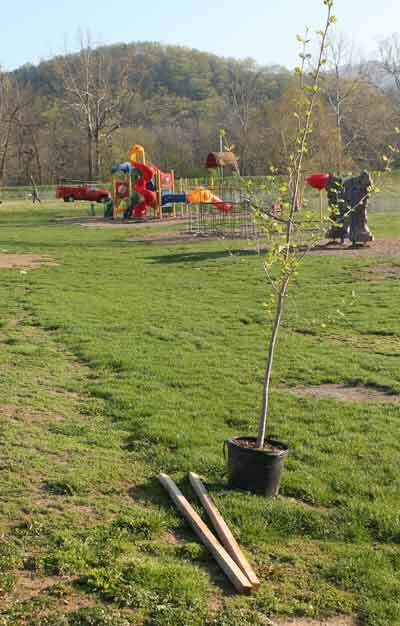 There are 2 teachers who have taken on this responsibility of watering the 12 trees, the recently installed rain garden, and 2 recent transplants of daylilies. 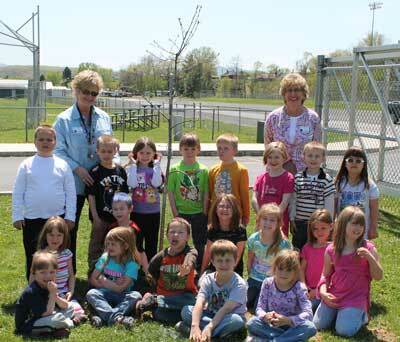 During the school year and the summer school program students will be helping to water under the direction of these teachers.